Coldplay... or is it Los Unidades? Which one is it Coldplay or Los Unidades? A couple of days ago, the "brand new" Los Unidades Band has released their brand new EP 'Global Citizen EP 1'. The album includes a mix of artists from David Guetta to Danny Ocean and even Pharrell Williams! It was recently announced under Parlophone's (Record Company) Twitter which had included the following picture stated on this article's cover and the following message Y02LPAC81ODL which once unscrambled reads 'Coldplay 2018'. 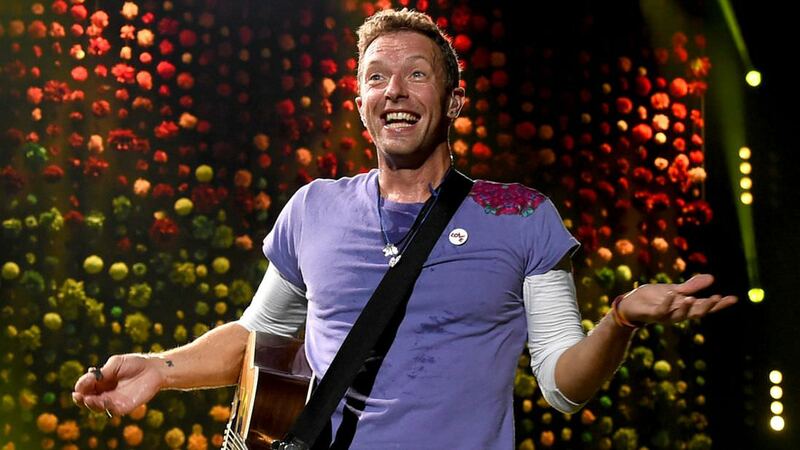 Even though they blew their cover pretty darn quickly, it's still an amazing surprise from Chris Martin, Jon Buckland, Guy Berryman & Will Champion, they do also own the Los Unidades Trademark! It also has been noted that the Global Citizen Festival: Mandela 100 which was on the 2nd of December which will be remembering Nelson Mandela and the legacy a century before he was born! There will be many known artists there, such as Jay-Z, Beyonce, Oprah, Ed Sheeran and obviously Los Unidades! Feel free to listen to the Album on Spotify HERE! did you expect this from Coldplay? Let us know Below!